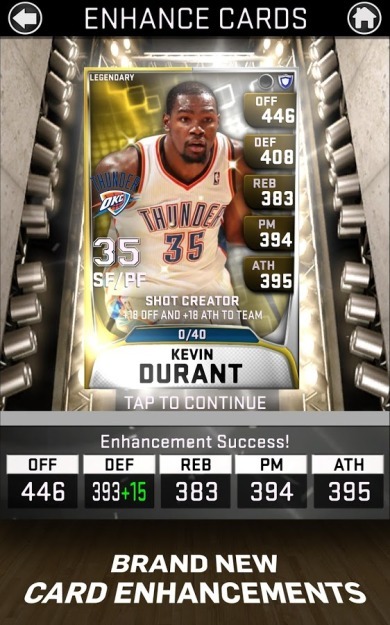 Anyways, MyNBA2K15 is the companion app to the full console game. Just like last year's entry, it continues to shake things up with a basketball-themed card battle system. There are over 1000 player cards to utilize, now with updated photos and new backgrounds. That's not to say that the changes are all superficial. 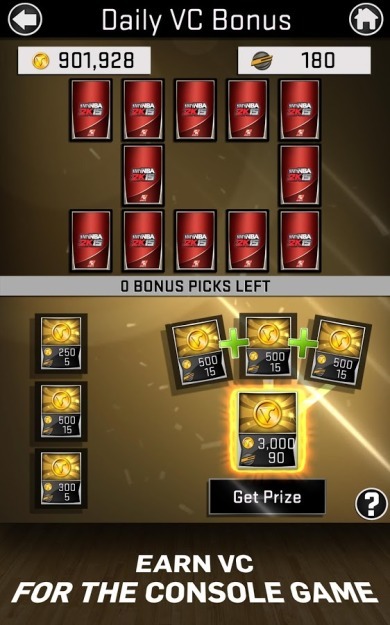 The MyTeam mode has improved matchmaking, new quick game reward tiers, and a couple new mechanics that tweak the dynamics of battles. There's a new chat feature for communicating with other people using the companion app, and players can shop for items to use in the console game from their mobile devices. 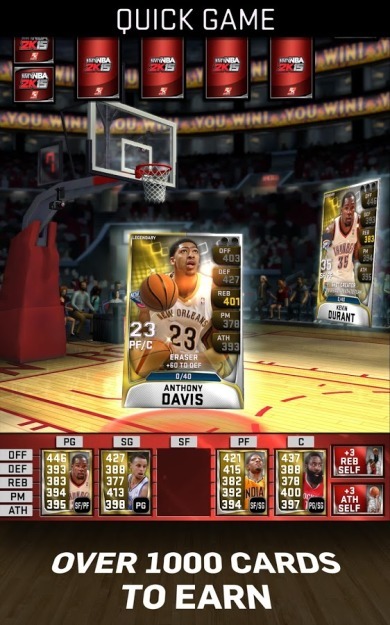 There are in-app purchases to deal with, but if you were already familiar with MyNBA2K14, then you know what to expect here. It's just another day out on the court.